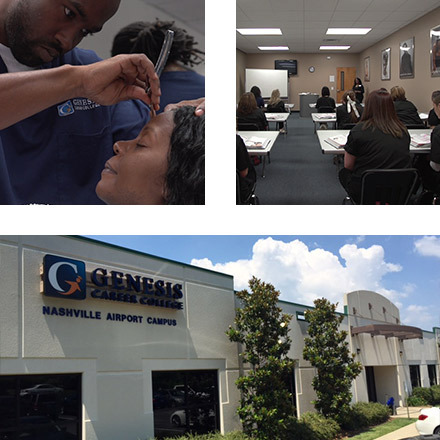 Genesis’ Nashville campus is the largest, offering a wide range of state-certified academic programs from the School of Beauty & Wellness. 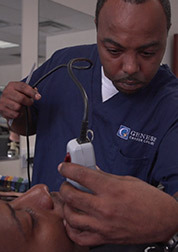 The common denominator of each Genesis program is that each prepares students in less than a year to take and pass state licensing exams and professional certification exams in order to start and succeed at new, rewarding careers. It's a new year, so it's time to take the first step towards a new career. 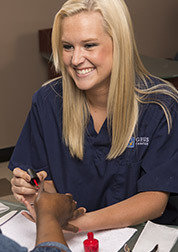 Along with classroom academics, all Genesis academic programs come with hands-on training, as well as financial counseling, help with acquiring state licenses, externship placement and continuing career placement. To learn more or to arrange for a campus tour, click the button below to fill out our contact form and an advisor will be in touch. With our Master Barber training, in less than a year you’ll learn the skills you need to join a men’s salon or barbershop, or even open up your own shop. Ready to show off your creative side and earn the trust of your customers? Are you passionate about skin care? Would you love to help people improve their appearance and self-esteem? If so, the Genesis Esthetician Program is just the place for you! Genesis Career College is authorized for operation as a post secondary educational institution by the Tennessee Higher Education Commission. In order to view detailed job placement and completion information on the programs offered by Genesis Career College, please visit Tennessee Higher Education Commission and click on the Authorized Institutions Data button.